Netflix’s surprise hit of 2016, the awesome Stranger Things, is packed with tips of the hat towards 80s music, movies and TV. But in designing the look of the show, its creators also had something a bit more gamey in mind: Silent Hill. 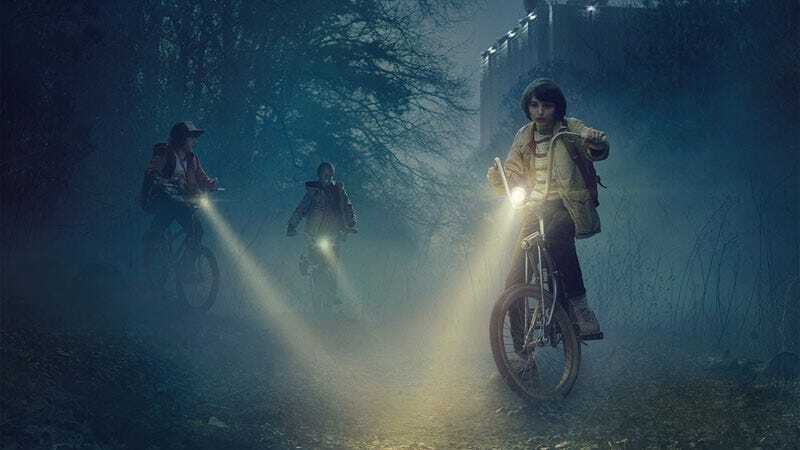 In a series of interviews over the past week, Matt Duffer—who along with brother Ross are the creators of the show—has talked a lot about the inspiration behind the small town of Hawkins, as well as “the Upside Down”, Stranger Things’ evil parallel dimension. And Konami’s classic horror series keeps coming up. There’s [John] Carpenter, there’s Silent Hill, there’s Clive Barker, there’s some anime references. We’re sort of pulling from everything. There are so many other influences in there, too. We play a lot of video games—there’s a Silent Hill vibe. We talked about “Silent Hill,” the video games were an inspiration, and “Alien” was an inspiration, in terms of the look. You know, given the show’s more overt references to 80s media (meaning those were the only ones I was looking for), I hadn’t even considered the Silent Hill influence while actually watching the show. Now that he’s mentioned it, though, and upon reflection on The Upside Down’s dark, misty mirror world, it can’t be unseen. If you haven’t yet seen the show, you maybe should. It’s great. It also has one hell of a soundtrack.